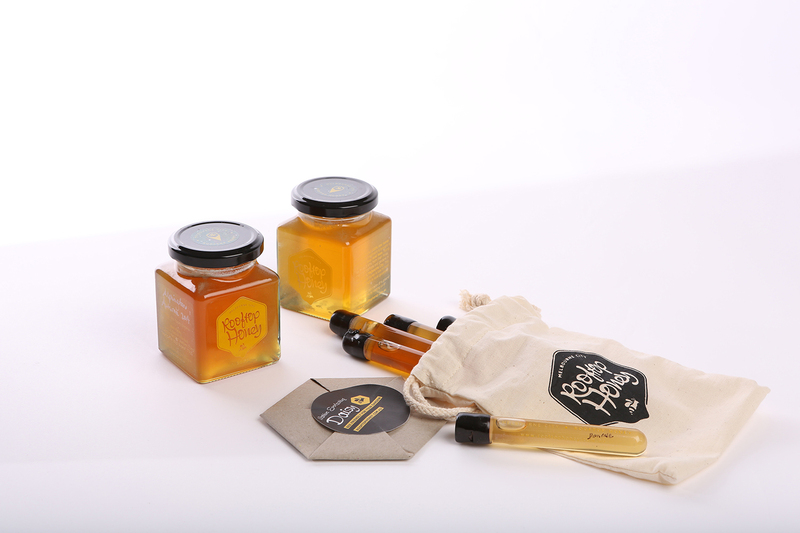 Branding refresh for Melbourne City Rooftop Honey – a team design along with David Eyno. Melbourne City Rooftop Honey is an exciting green initiative in Melbourne, dedicated to ethical urban beekeeping, the brainchild of Melbourne-based power team Matt and Vanessa – they adopt stray swarms, install hives on local rooftops, and produce delicious, 100% raw ethical honey and honey products. The branding had to be flexible, apply across multiple forms of packaging, and stand out from the crowd. Honey labels were designed with a white undercoat of ink over clear stock, so as to look as bright as possible against the relatively darker raw honey. Jars are now in print – check them out at Clementines, Earl’s Canteen, Deadman Espresso and other suppliers – and you can taste the honey across restaurants like Cumulus Inc and Ladro. You can also buy Rooftop Honey direct from their online store. Other collateral created included rebranding the Stingers, the unusual, test-tube taster-sized honey tubes that allowed people to taste honey from different suburbs in Melbourne (depending on where the hive is!). 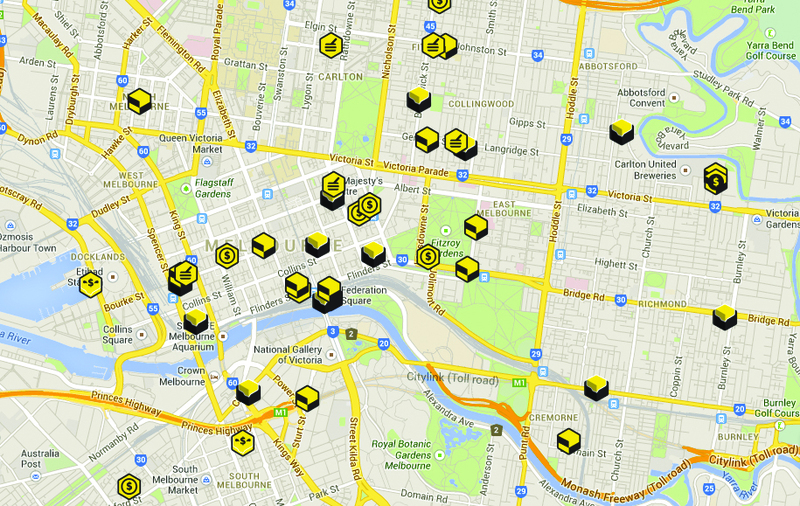 You can also sponsor a hive or get involved by keeping track of what Rooftop Honey is up to. Rooftop Honey is always full of new ideas every season. From new postcards to t-shirts to balm to tea light boxes, you can check out each new print run of our continuing collaboration online from their store or in Clementines.